If there is one rule at WoNo Magazine, it is not to review the same album twice. As I am the one setting these rules, it is possible to break them when a record is as good as this one. So after Erwin Zijleman's view several weeks ago (read on here: https://wonomagazine.blogspot.com/2018/10/bird-streets-bird-streets.html) here's mine. Before starting listening to Bird Streets to write my review I had one song in my head for most of the day, 'Drive' by Hazeldine. It even had me grab my guitar and play that guitar solo. To my surprise 'Carry Me' is the title of the first song of the album, a phrase that is a huge part of 'Drive''s message: "it will carry me home". So much for Hazeldine. 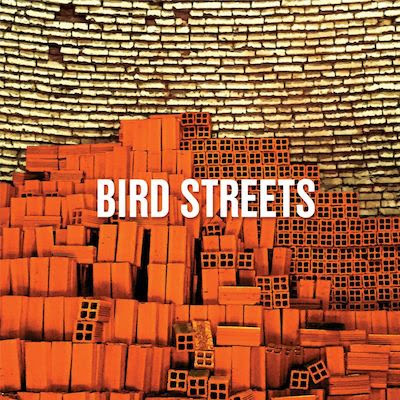 Bird Streets is an album that sets the bar at the highest musical position possible: the eternal and perfect pop song. Is that still attainable after over 60 years of modern pop music. The answer is as simple as it is truthful: yes. Bird Streets is full of songs qualifying for that title. Who is Bird Streets? It's a name I never ran into before reading Erwin's review that made me listen immediately. At the basis this is a one man band. Singer-songwriter John Brodeur from New York City reached out to his friend and musician/producer Jason Falkner to make a record together. Thus they did, writing and playing together for most of the songs, with help from others only on three songs. Together they set out to make the world a little better and prettier. Succeed they did. Soft pop songs set in an alternative rock setting may be a nice description of the music on hand. From west coast rock from CSN&Y, Gene Clark to Crowded House and Weezer, to more modern bands like Beach Fossils and The Shins, it all has a place in Bird Streets. While in a general sense a 60s pop feel is always on hand. In my country, The Netherlands, I would call on Maggie Brown as a reference but also The Maureens, who are also able to find an extra melody line or harmony vocal within a song. Let's go back to the beginning. The album starts quite forceful. The verse is alternative, even somewhat harsh, certainly for what is to follow later. The chorus is an immediate catcher. Foo Fighters influenced without putting the music on too thick. Intricate guitar lines mingle with a direct guitar solo. The kind of song that draws attention of alternative rock lovers and all with an ear for strong vocal melodies. The switch to 'Betting On The Sun' is surprising, an acoustic guitar starts the song. The high voiced chorus is just as surprising. The melody packs me in though. A nice organ joins in, as do several guitars all playing little melodies. A song to long for the sun to in these dark December days. For all those who have never heard 'Hail To The Rain' by Maggie Brown, this is the moment to look it up on Spotify or elsewhere. You'll be sold for sure! Bird Streets has no truck with showing influences or personal favourites through its own songs. From there the work starts to write its own songs and reach perfection in it. Some songs flow so free and easy, making me wonder how much work went into reaching this level of perfection. Whether the mood is up or down, including the tempo. Ballad 'Spaceship' is as full of melancholy as the way still to go being sung is long. Bird Streets captures that mood ideally. 'Stop To Breathe' sounds like Gene Clarke might have sounded in 2018, while also bringing the earlier mentioned Hazeldine in memory. This all fades to nothing when the chorus sets in. The majesticy of this song is so evident that little else compares. The guitars interweave, voices harmonise and then for the grand finale. How many guitar parts can one play together? I simply stopped counting. It should have been the final song on the album. What a way to go it would have been. Six songs to go though and they are far from a punishment to listen to. Brodeur's soothing voice leads me through the album, always with a pop feel to become very happy with. Bird Streets is not afraid to change its approach to songs making the album varied and stronger. 'Pretty Bones' starts with just an acoustic guitar, before keyboards of different kinds set in. After which 'Until The Crown' rocks totally out. The most direct song on the album, 'Same Dream' is the only one Jason Falkner was not a part of. A tight drum, a bass, guitar and play. Up tempo and extremely danceable in live settings, but not without a Beatlesque ending to return to that overall feeling that comes with Bird Streets. Admittedly the ending of Bird Streets is not as strong as the beginning. It may be something impossible to demand. The first half of the album is among the strongest I've heard this year. So the album is not perfect. I've decided not to look into the horse's mouth. 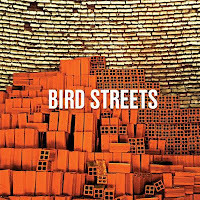 Bird Streets is an enormous upbeat, fine and in several places and ways a superb album. There's no need to say more.